How to Select Mode of your Photography in Android KitKat 4.4? 1: Tap to open up the Camera app. 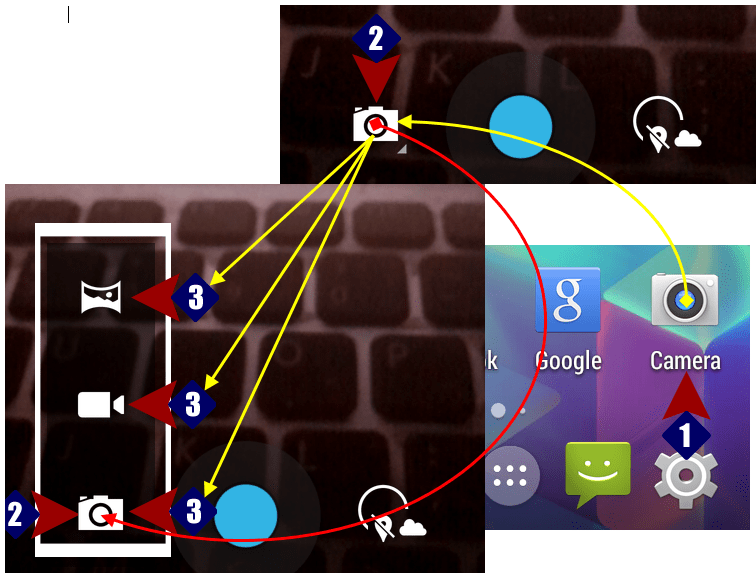 2: In the Camera app, tap the mode launcher. This is at the left of the trigger. 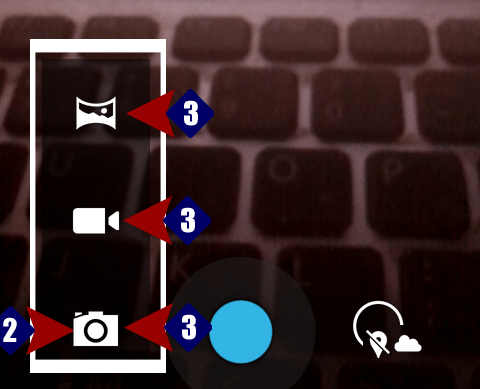 A popup up will open up, displaying a panel of 3 option buttons, representing Still Mode, Video Mode and Panoramic Mode. 3: Select any one from the 3 available modes, by swiping your finger to the desired one, and see the current mode is switched over to the desired mode. Now, enjoy the switched mode. 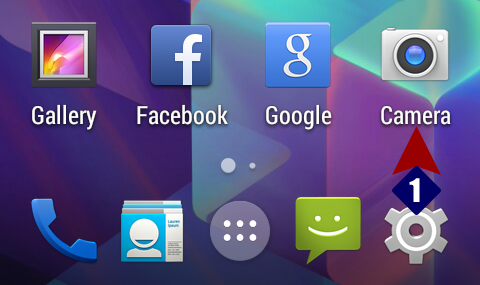 Newer Adding 3 Color Effects in Android KitKat 4.4 Changes Snaps into Wonder?